What’s four words and sweet as can be? If you guessed our newest fabric, Organic Sweet Pea Gauze™, you’re right on the money! Your go-to project using this super-soft gauze may be swaddle blankets, but did you know this fabric can be used for so much more? From reversible bowl covers to reusable grocery bags, your gauze project list is endless! Today we’re celebrating the launch of our newest natural (and organic!) fabric with a visit from Spoonflower alumna, Theresa Rizzuto — you may recognize her as trizzuto in the Marketplace! 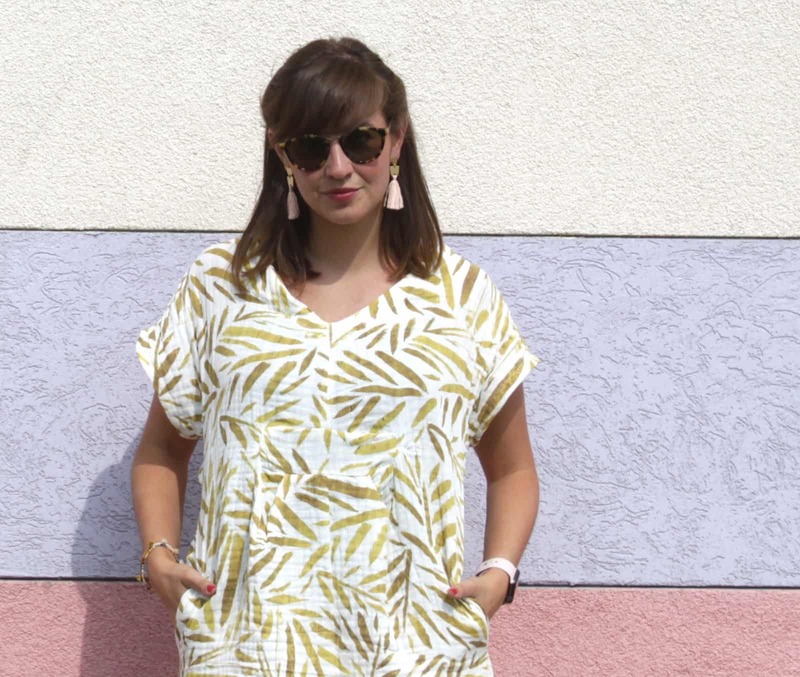 Find out her tips for working with gauze and see how she put it to the test with the new Charlie caftan from Closet Case Patterns.